We recently traveled to Rome so I wanted to share the information I found for how to plan a family trip to Rome, Italy on a budget, and in our case for under $1300! 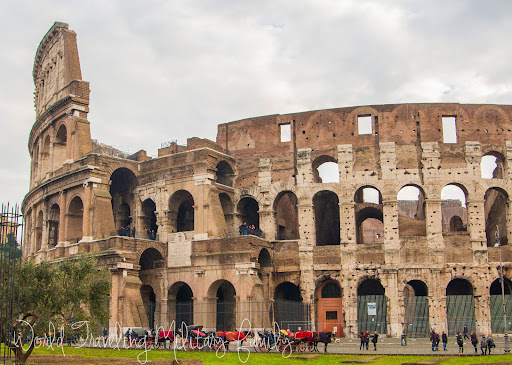 We stayed 3 nights and checked out Rome over 2.5 days. It was plenty of time and we could’ve easily done it all in 2 days if needed. We are a family of 2 adults and 3 kids (18, 14, & 11) when our oldest is home from college and traveling with us. First & best advice is to be flexible! Have ideas of places you want to travel and when you see great deals, snag them! Also I recommend traveling off season as things are much cheaper and less crowded. Second is to do your research and plan things out, the less planned = more money spent. Check airline sites often and think about when you can travel such as American holiday where you’ll have a 3 day weekend. I knew we wanted to go somewhere in January but we were flexible on the location. I found a great deal on tickets to Rome so off we went! 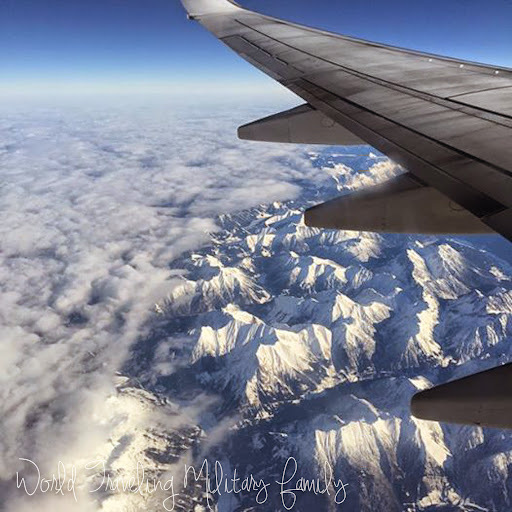 We flew round trip from Cologne-Bonn to Ciampino for $301 for a family of 5! Also check multiple Airports, it was a little more to go out of Frankfurt-Hahn but it was closer, I almost chose that one until I realized that we’d get in at 5 pm and the day would be pretty much gone. So we decided on Cologne-Bonn even though its further away because we landed in Rome at 11 am. Also check the days, we saved $100 by changing our trip to leaving on a Wednesday instead of going on Tuesday like I had originally planned, again flexibility is key! That price included 1 checked suitcase at full price €30/$35 and 1 checked suitcase at 1/2 price using the kids bags distant €15/$18. We ended up only taking 1 bag and combining the weight of the 2 bags so we had less to carry. We could’ve saved $53 if we had used the carry-ons, we tried the carry ons only for Barcelona and it worked great, and easy way to save money! You have to decide what works for your family. If you reserve your parking online in advance for Cologne-Bonn Airport you can reserve the P3 parking area for €33 ($39) for a week. This beats the €23 per day you could end up paying. We did the online reservation and it’s about 5 minute walk to the terminal from the P3 area, which was not bad. We also took our van and while some of the parking spots were tight we were able to find one that wasn’t horrible. Also I’ve been told this is cheaper than using the parking add on fee with Ryan Air. Use booking.com and orbitz.com to find hotels or apartments and then try to use Orbitz.com to book. The reason for this is because you can use Ebates with orbitz and get 6.5% back! This is legit and I’ve been using it for years, if you don’t use Ebates and would like to sign up you can here. Then I also use an Orbitz coupon code, normally 15-20% off as well. 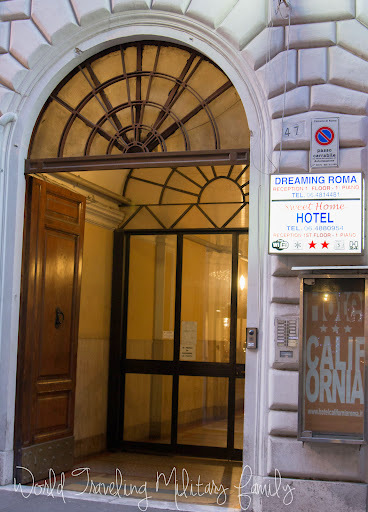 So for my Rome hotel it was $334.53 but they and a 20% off code on Orbitz. Also when you use Orbitz you get points to apply for a discount on future purchases. I went through the Ebates link, added in my promo code, and then added the hotel to check out. It will tell you if it’s eligible for the code or not. I got 20% off for the Orbitz code, AND 6.5% was sent to my Ebates account, AS well as earning Orbitz points to save $ on our next booking. Grand total for 3 nights $351.36 which is not bad for the Rome area for a family of 5! Also read the reviews to decide where to stay, I base my hotels selection off reviews and not just stars. We stayed at Home Sweet Hotel Rome, you can read my review here (LINK) and I’ll have some photos in an upcoming post. Your going to need to get from Ciampino Airport to the city, most likely the Termini. There are several options to do this. Train – You can take the train, but you have to take a bus to get to the train station. The bus is €1 per person and the train is €1,50 per person so for a family of 5 it would be €12,50/$15. 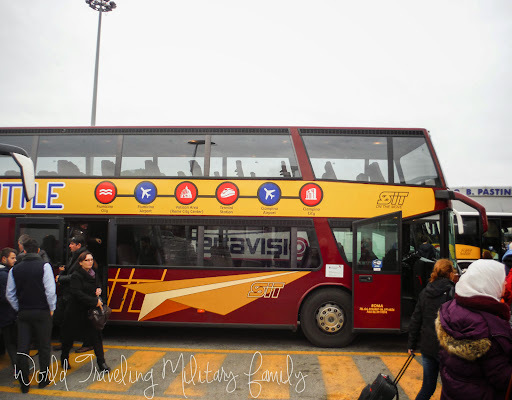 Bus – There are several buses you can use and they all cost the same €4 per person each way or €8 per person round trip, you can also buy these tickets on the Ryan Air flight as well for the same cost. The bus drops you off at the Termini. The bus ride around 30-40 mins long. For a family of 5 round trip it was $47. Shuttle reserved via USO – You can book a shuttle with the Rome USO for $60 each way, so for round trip it would be $120, which I think is high when there are quite a few cheaper options. Taxi – You can take a taxi as well. They are supposed to only charge €30/$35 but I’ve heard they often try to charge more so know that ahead of time if your thinking of using one. Metro – tickets are €1,50 and include one trip with underground transfers and access to the buses & trams for 100 mins. So for a family of 5 one way it would be €7,50/$9. We were not impressed with our metro experiences in Rome, more on that in the upcoming Getting To and Around Rome post. Taxis – Depend on how far your going and can be difficult to get for groups larger than 4 people. I think the starting rate is around €3 and is €1,50 per km on top of that. So it can be reasonable to use. Know that if you have a large family (5 or more) it could be a challenge to find a taxi that will fit everyone. If you can plan your itineraries right you can limit the amount of transportation needed, which is what I generally do. We only spent €15/$18 on metro tickets getting around Rome and walked the rest. Make sure you do your research in this category! I found it was cheaper for us to NOT use either the Roma or Ominia pass. I’ll include some price break down I used below. Also several of the sites we visited were free as well. We ended up not using a Hop On Hop Off (HOHO) bus because after all my researching the general consensus was that you don’t need it because you see everything while your walking around, I have to say I agree and I’m glad I did not shell out the $ to use it. We visited the Colosseum/Forum/Palentine Hill, the tickets were €12 per adult so x3 it was €36/$43 and kids 17 and under are free so 2 of mine were free. We visited the Vatican City and booked our tickets online. €16/$20 per adult, €8/$10 per child PLUS €4/$5 pre booking fee online per person (BUT WORTH IT TO AVOID WAIT) €76/$92 Even with the online booking fee it was still cheaper than doing a tour to skip the line and we were on our own time schedule and not someone else’s. **Vatican tickets, Colosseum Combo tickets, metro tickets (approx €15) $153, could be less if we dont use the metro much also! See this is cheaper to do it ourselves vs. the Roma pass. To get your $ worth from the Roma Pass you need to use it at least 3 sites and use public transport. Drinks in Rome are expensive we seen cokes for €3-5 each! No refills as usual in Europe. At the grocery store we got bottles of coke for €1,05 and cans for €0.65. So at restaurants we just got the 1 liter of water for €2-3 which was enough for the family and drank sodas on the go or at the hotel. Also the large 1.5 liters of water were €0.49 at the supermarket! We carried these with us during the day, there are also tons of public water fountains to refill your bottles if needed for free. Make sure you don’t get scammed on meals! If they are handing out fliers hunting people beware. Make sure you as before you go in if they charge a service charge, one place charged us €2 per person, so that was an extra €10 for nothing. It was also the most expensive food (drinks were €5 here!) and the worst tasting we had there. I was so hungry we didn’t even think about it before going in. It was €55 for crummy food & mediocre service. This was near the Victor Emmanuel Monument, I suggest not eating in this area as these places are very touristy. 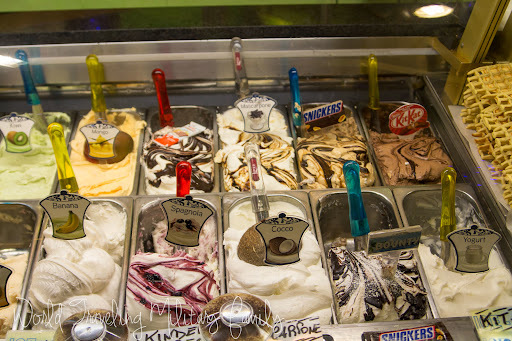 Gelato was not as amazing as everyone says it is, LOL! I think the German ice cream is better. It’s reasonable at €2-3 a serving. 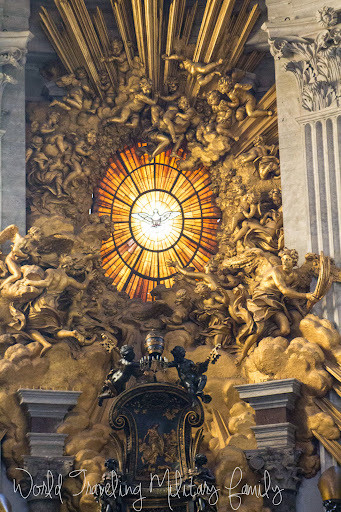 I’ll be posting more info about our daily itineraries soon, so check back if your headed to Rome! Final Price Break down for our trip, can you tell I’m a visual person?! Food $343, it would’ve been less if we hadn’t been ripped off for lunch one day…see above info. I hope if your planning to visit Rome you find this information helpful! 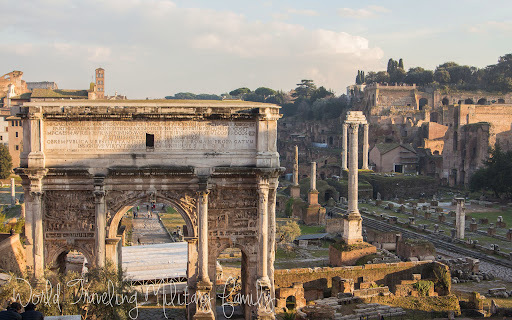 We are planning on going to rome on the 30th and was waiting to read your blog since we are traving with 4 kids 8 and under. I have tried to book tickets for vatican city and colosseum and the prices you posted are not matching up. Is there anyway you can post or send me the links of the websites for the online tickets. With all of your recent travels like Paris, Spain and Italy have you encountered pick-pockets or crime? How do you deal with important items like cash and passports? If you have a link to info you already posted please point me to it and sorry I missed it. Thanks again for your info and take care. This is AWESOME! just one question were you able to do the whole Colloseum, like dungeons and all the other secret places that people talk about? Do I need a guided tour for that? Yes, those areas are only accessible with a tour. My husband and only grandchild (14 yrs old) are planning to visit Rome. This information is really useful. There ere a number of topics you mentioned that you would post later. Did you post them? Sorry if I missed them. Kindly direct me to the link. If we are coming from Israel, what would be your recommendation about return air travel? By the way, keep doing what you are doing. It is very ,very helpful to even nonmilitary readers like myself. Hello! I have published a few more but not all, there is a search bar on the right hand side you can use by either typing Rome or the topic your looking for. I hope to get the rest of the posts up at some point too.